BURNABY, BC – Dageraad Brewing has announced the release of this year’s edition of it’s annual fresh hop ale. For this very special, once-a-year version of Dageraad Blonde, centennial hops grown by the Sartori family in Chilliwack were added to the brew kettle the same day they were plucked from the bine. The hops add a fresh, juicy taste of local terroir to this classic Belgian-style ale. Most breweries that make a wet-hopped beer release it as quickly as possible, but we bottle-condition our Wet-Hopped Blonde, just like our regular Blonde. We feel that bottle conditioning does so much to preserve the freshness of a beer that it’s worth spending the extra three weeks to do it. When it’s finally ready, it’s less of a panic to drink it immediately because the freshness is locked in. 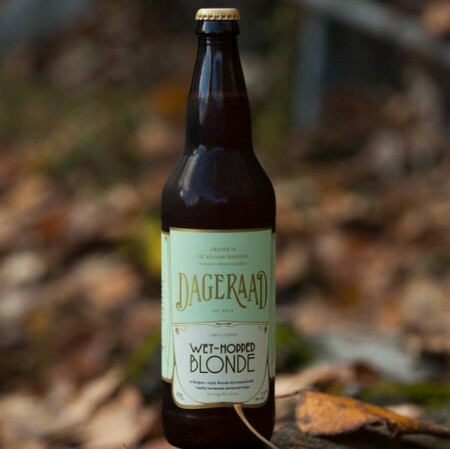 Wet-Hopped Blonde is available now in 750 ml bottles at Dageraad, and will be shipping to local private liquor stores later this week.